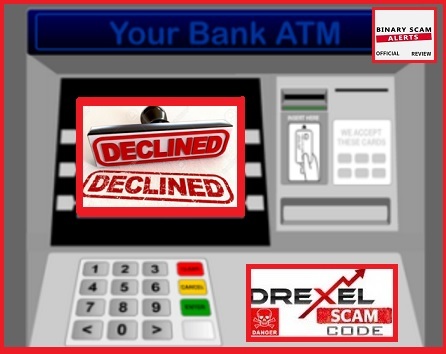 Binary Scam Alerts is Updating its Drexel Code SCAM Review in light of new evidence and complaints that is pouring in. 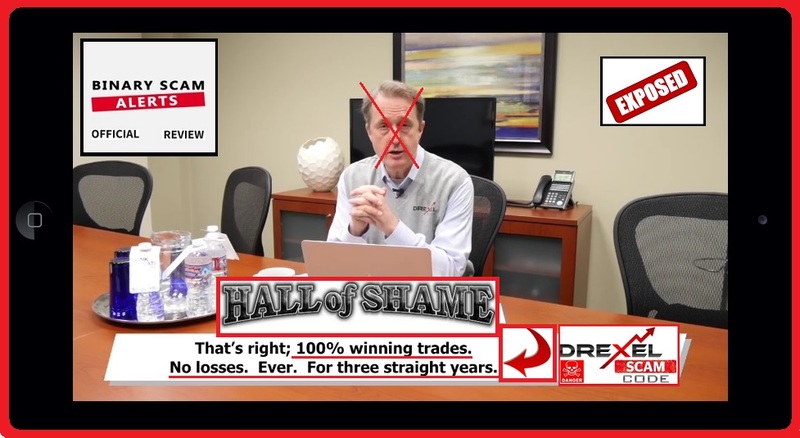 This software, App and Autotrader as well as Cory Drexel the con-artist Grandfather CEO, is a sham and a masquerade of lies designed to cheat, deceive, and victimize innocent day traders. We are getting a deluge of complaints from customers who have invested sizable amounts of money through this APP, but are not able to withdraw their winnings. This is considered to be the cardinal sin in binary options, and when we gather enough evidence against these shady brokers we will expose them in a ruthless fashion as we have a zero tolerance level for this kind of criminal behavior. Cheaters be warned, you are playing with fire! This sub-standard system employs a variety of techniques designed to trick and create a misrepresentation of facts in order to convince customers to register and fund trading accounts. We have previously mentioned that the use of advanced technological tools such as Java Script Widgets and a fabricated “proof of scam” section is utilized in a very effective way and creates a false environment of trustworthiness. Don’t believe the fake reviews, there is nothing genuine, honest, or sincere behind the intentions of the people who try to market this phony app and get paid on the back end. Additionally, I would not venture to try any form of trading strategy such as momentum or technical trading (either in short or long term contracts) as these will not help you achieve an ITM ratio of ~90% or close to it. In fact, this software intentionally takes inferior positions with the malicious intent of stealing your money. If you if you have already invested your best bet to salvage yourself from this disheartening debacle is to recognize that you have been scammed and rescue whatever remains of your initial investment if you can. “Cheaters, thieves, daylight robbery, scandalous, pirates, and evil spirits” are just a sample of the adjectives used to describe the experience customers have had with this trash code. There was only so much negativity our researchers could absorb before it started effecting their state of mental health, so we actually used the assistance of a clinical psychologist to help us get through the day. We have written extensively about these tactics previously and “Bonuses Credited on Wins to Avoid Cashing Out” is apparently the one which is most popular in this case. We are beginning to see a pattern of complaints and all of them are pointing towards this direction. As we progress the evidence will be gathered in the most compelling and convincing way. These include but are not restricted to the Binary App 810, TrianaSoft, the Amissio Formula, Tauribot, Citidel, Push Money App, Centument, Virtual Income, Insured Profits with Dave and Ginny, Sydney System, Centument, TSI System Scam, My First Online Payday, Binary Matrix Pro, The Free Money System with Walter Green, Trade X Confidential, Limitless Profits, Millionaire’s Blueprint, and Trade Tracker Pro. It goes without saying that this is not the only system offering you instant wealth at the click of a mouse. 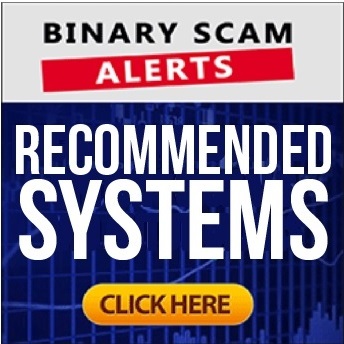 Binary Scam Alerts is endorsing the Binary Profit Method as a our preferred signals tool. If you are looking for an Autotrader make sure to look at our automated trading section. We were astonished by the amount and severity of complaints our staff received in regards to the Drexel Code Autotrader App and Software SCAM as well as Cory Drexel. The whole premise of binary options trading is to actually allow your customers to cash out winnings. If you (the broker) violate this sacred principle then the price you will pay will cost you dearly and eventually you will end up closing your business. We turn to all brokers and offer them an olive branch or machete and implore them to remain committed to their obligations and pay their customers in a prompt and timely fashion. As always, you are invited to join our Facebook group and Subscribe to our YouTube Channel.